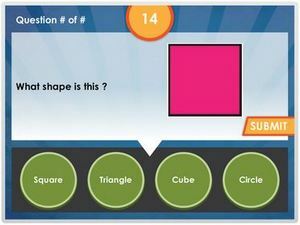 This is a kindergarten math quiz on shapes for kids to review online. 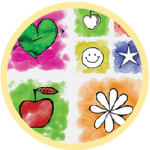 Here kids will learn the following: identifying shapes, counting sides and corners of shapes, identifying similar shapes, learn the names of different geometry shapes and identifying shapes with symmetry. Some basic shapes to be learned include: circle, triangle, square, rectangle, oval, sphere, hexagon, rhombus, octagon, cube and more. Each question contains a picture showing a shape for kids to identify. Start reviewing and tracking your score as you progress.